- Ira M. Emanuel, P.C. 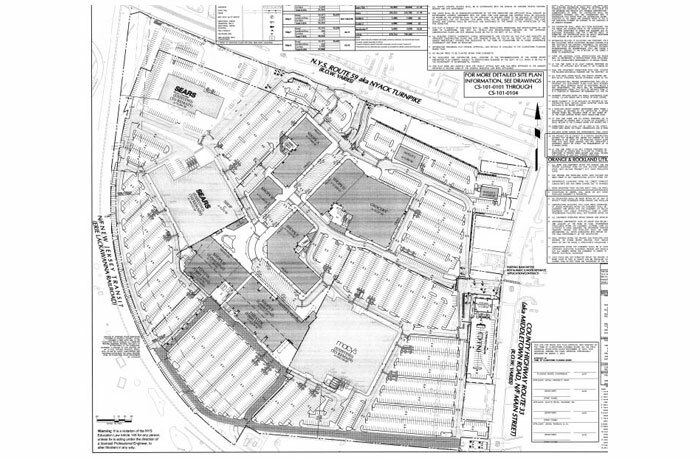 Redevelopment of 900,000+ square foot regional shopping mall into 758,000+ square foot lifestyle center, with retail, restaurants, cinema and supermarket in the Nanuet hamlet of the Town of Clarkstown. Approvals include site plan and subdivision. Preliminary Approval Granted January 26, 2012. Final Approval Granted March 8, 2012.